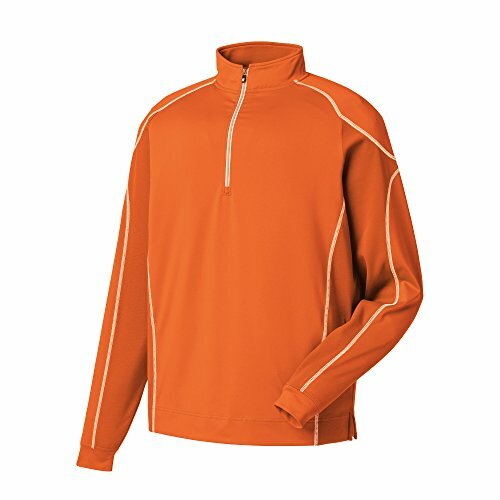 FJ Performance Mid-Layers are versatile pieces that allow the player to adapt to changing weather conditions. The four-way stretch shell helps keep your core warm while allowing free range of motion throughout the golf swing. Elastic Knit Collar and Sleeve Cuffs Elastic knit sleeve cuffs and collar provide comfort and fit while wearing. Anti-Microbial Finish This Anti-Microbial finish helps eliminate odor. Four-Way Stretch Fabric allows for complete range of motion during the golf swing. Easy Care Fabric These garmets are made from an easy to care for fabric that allows for maximum wearability with minimal care.